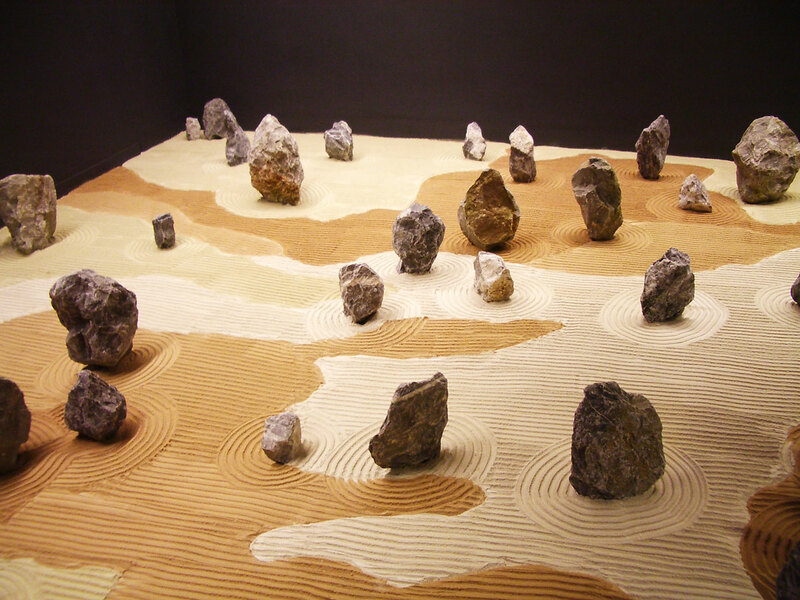 Small groups of rocks are incorporated into the pattern of desert camouflage material used by the military. 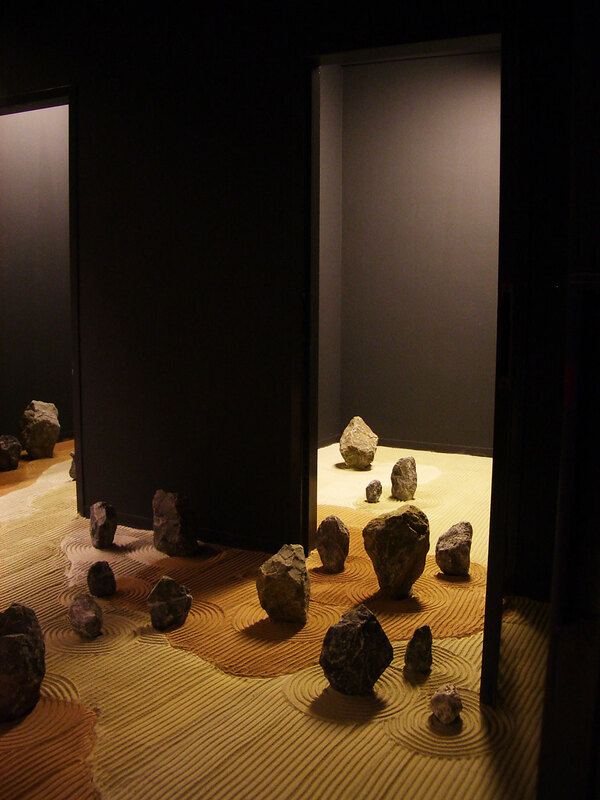 This was the starting point for Desert Zen Camouflage Garden, in which a piece of camouflage material was enlarged and visualized as a Zen garden. 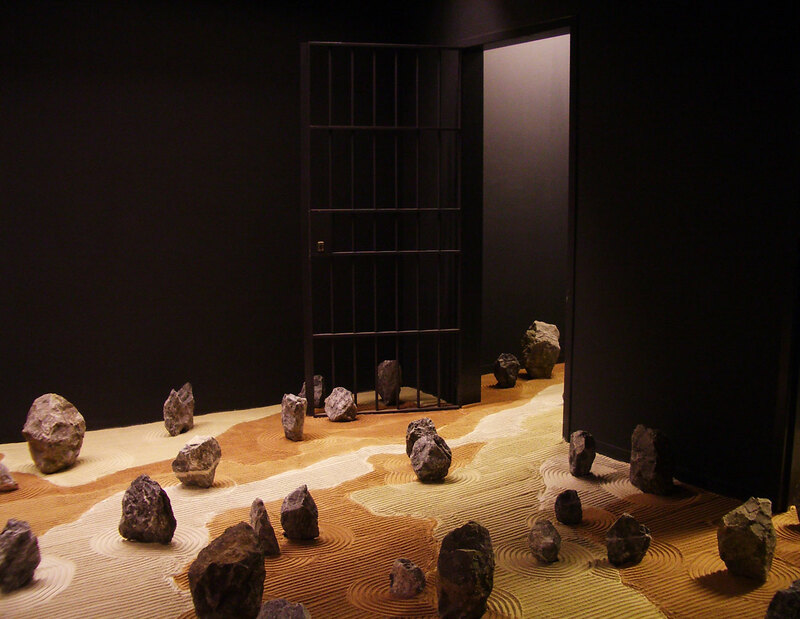 It was made on location in a large bank vault, as part of the project Hermitage Helmond. For Hermitage Helmond, a year long project conceived by Esther Didden, artists and arts organizations were asked to install exhibitions and artworks in the vaults of a former bank in Helmond. The vaults could be then visited by the public individually. Spiritual, economic and military struggle are united here in one hermetic space, where the fragility of all these endeavors comes to the fore. 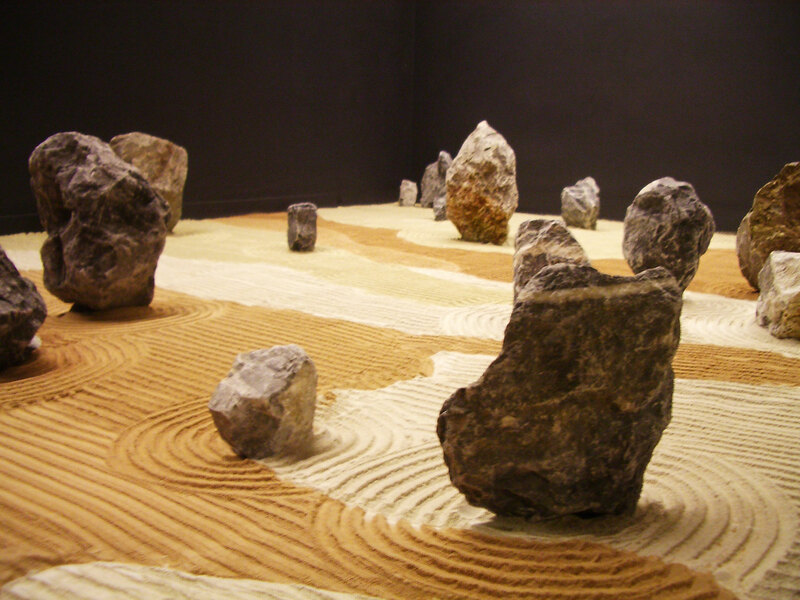 Zen gardens refer not only to the transitory nature of all things, they embody the principle that what happens on a small scale is reflected on a much larger one as well. A stone is a stone, but also an island; a grain of sand is a grain of sand, but can also be the sea. The question remains as to where the origin of conflict actually lies, within or outside of ourselves?